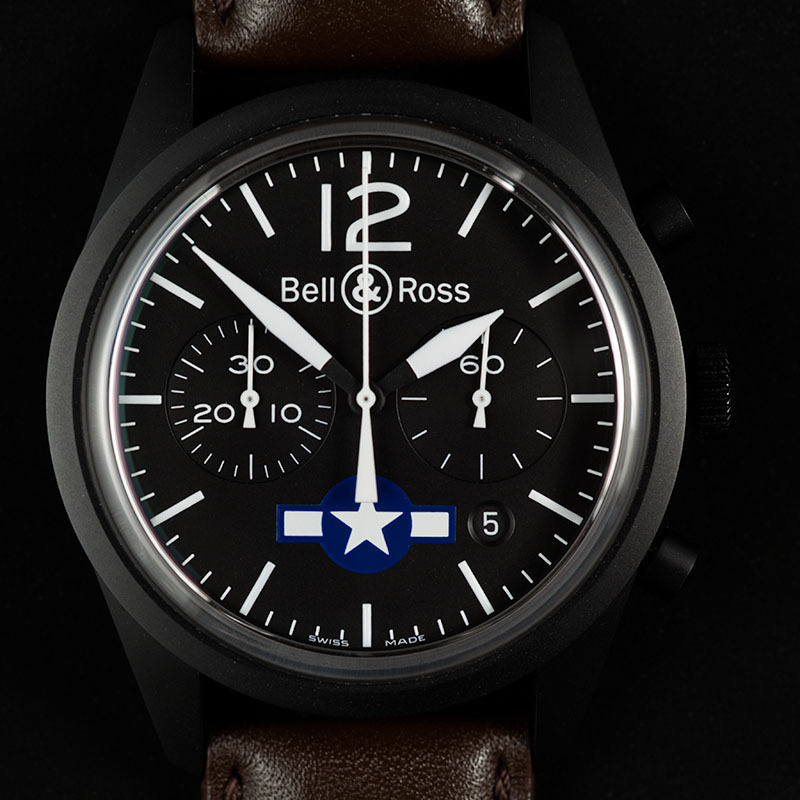 TimeZone : Bell & Ross » Photo Essay...Vintage BR126 "United States"
This Vintage BR126 chronograph is part of the new Bell&Ross Tribute to D-Day, and features the insignia used by US forces during WWII. - Functions: hours, minutes, seconds. Date. 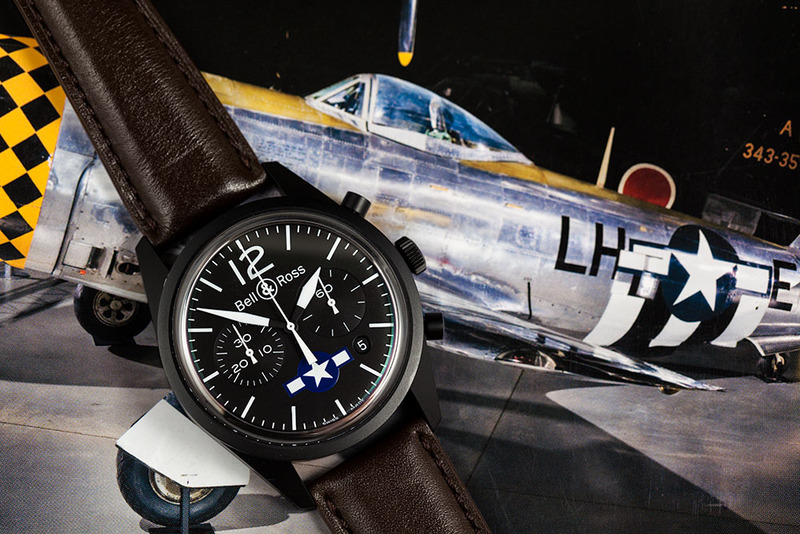 Two-counter chronograph (with 60-second and 30-minute accumulators). - Satin-brushed steel case. 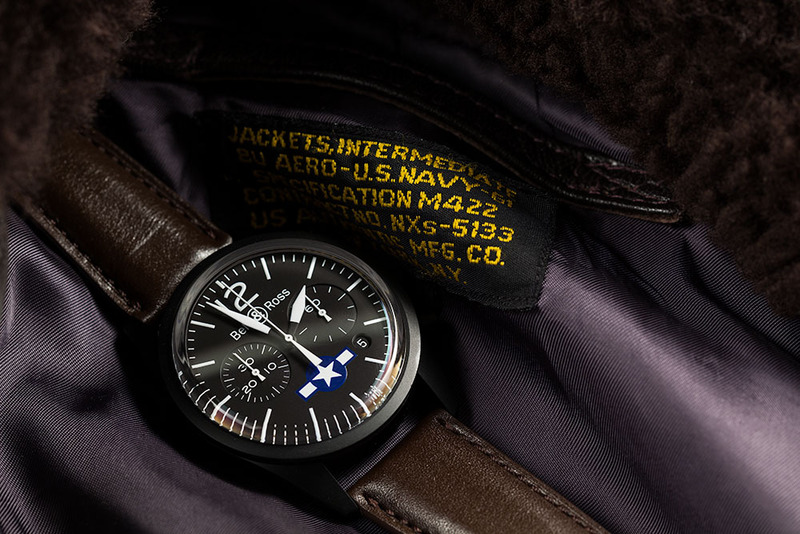 41 mm diameter. Screw-in case-back. 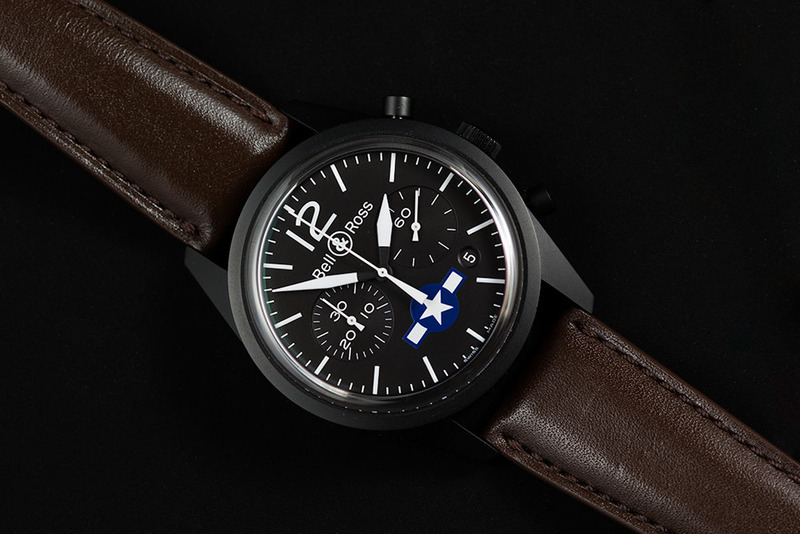 - Black dial. Numerals, index and hands covered in a photo-luminescent coating. - Ultra-curved sapphire glass with anti-glare coating.